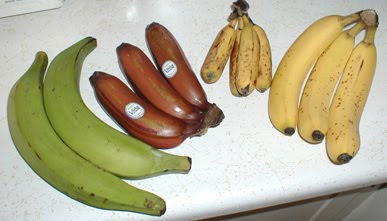 L-r: Plantains, red bananas, bananitos, Cavendish bananas. this is interesting. After a few glasses? 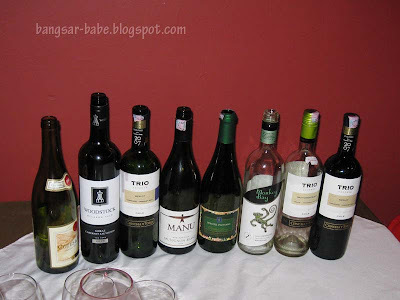 that looks like a number of bottles!! they all look like bananas to me. ….but how was the taste when eaten with the chicken? Nice ah? 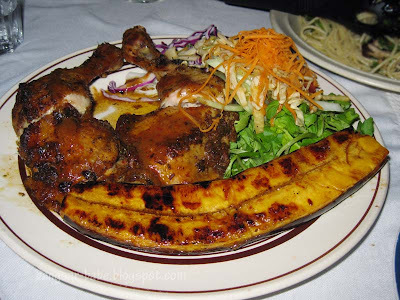 is plantains similar to montel? I can imagine what it would taste like. Kinda like sweet potato texture is it? Marcus – Yup…close to that. But it's not as sweet. Baby – Nope…montel is sweeter. J – It was quite good, surprisingly.